A rich, ammonia-free brown shade to add depth without straying too much from the original color. Topped with hand-painted highlights to add dimension and extra-shine. Dimensional color makes fine hair appear thicker. The highlights are well placed and won’t create a line of demarcation as hair grows out. Less is more. The best part is coming. Almost everyone loves these moments at the sink. Karla’s touch is magical. She is one of our stylists in training. Crystal is famous for her voluminous, long-lasting hairstyles. A cascade of soft waves make this bouncy blowout a classic choice for every woman. Luminescent, chocolate brown hair color with soft, amber infused highlights. Keeps her makeup vision simple to complement both color and hairstyle. The cat eye makeup looks seductive, but the rest of the face stays fresh with almost bare coverage. The overall effect is polished and pretty. 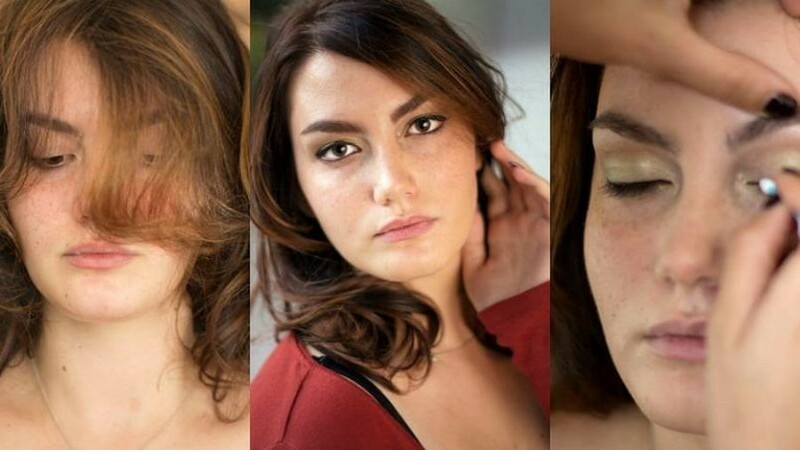 Beautiful pictures, nice make up and the perfect coloring. I have been to your salon once and for sure I will come again. Thank you guys for your professionalism. wow!! beautiful pictures and the talent is great!!! Thank you so much. Our sylists will appreciate your comments greatly! I myself had a very nice experience in this salon and as I look at this beautiful pictures it reminds me of it. Very nice people,very professional and make me feel very comfortable. Thank you very much for you kind words and for your support! It is my pleasure and I already booked my next appointment.